Just off of Cinnabar Island, within Route 20, are the Seafoam Islands. These islands actually connect together to make one single ice cave with multiple levels, some of which contain sources of water. 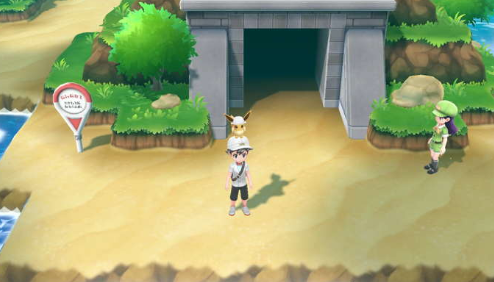 Each floor has various ice puzzles for you to solve in order to proceed deeper into the cave, as well as contains loads of Ice Type Pokemon. There is only one trainer found within the cave before defeating the Elite Four, and this cave is home to the Legendary Pokemon known as Articuno. After defeating the Elite Four and starting the Master Trainers Challenge, you will find a number of Master Trainers in the Seafoam Islands. In total, there will be three Master Trainers to defeat.